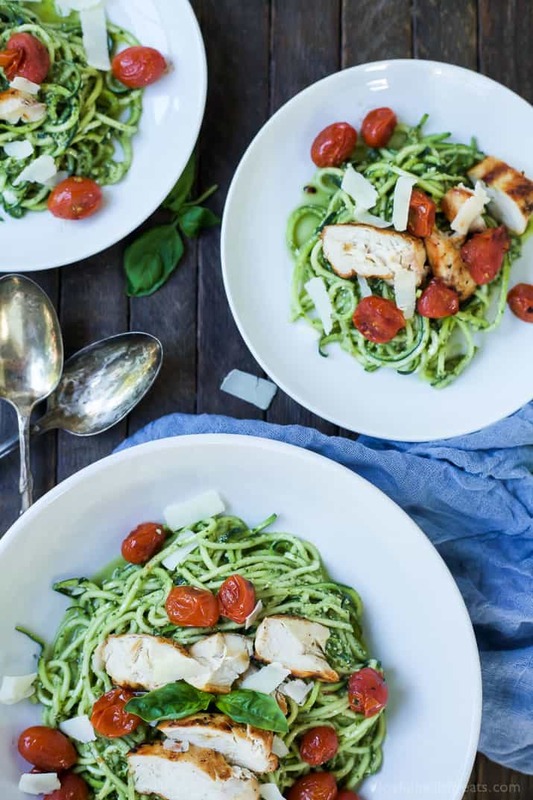 An easy dinner recipe for a busy week, and no stove needed! 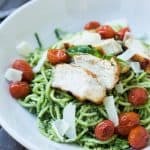 Pesto Chicken Zoodles with Burst Tomatoes, full of bold flavors, high in protein, and in low carbs! Your family will love it! All in all I just need some muscle relief asap, and I’m pretty sure that having a permanent live in massage therapist would solve that problem. Don’t you think? Speaking of massages, have any of you ever tried reflexology before? It’s a form of massage where the therapist applies pressure to your hands and feet using their thumb, fingers, and hard techniques to specific areas of your feet and hands in order to relieve pain and bring your body to wholeness. Sounds kinda strange, or hooky. When I was in Seattle and my mom offered for me to go when I had a headache I wasn’t so sure. But I thought, meh.. what the heck, I’ll give it a try. On the way to the place she started to tell me. Now, just so you know. It’s not like most massage places. You walk in and the lights are dimmed; there are about 12 beds right next to each other. They have you lay down and then put your feet in a warm bucket of water. They will massage you with your clothes on. I was a little weirded out seeing people in there when I walked in but was still willing to give it a try. As the masseuse started, it kinda felt like my husband was giving me a massage, just rubbing my shoulders. But then she took my feet out of the bucket and holy moly. This small woman had some muscles and there were times that I had to remind myself to breathe through the pain. It was the BEST massage HANDS DOWN I have ever had. I left with no headache and I could move my shoulders around without feeling pops in my back from the knots I have. I felt light and free. It was absolutely incredible. It is my goal to find a place like that around where I live and hopefully go this weekend! Momma needs a massage! Momma also needs to tell you about this amazing dinner I made the other night! 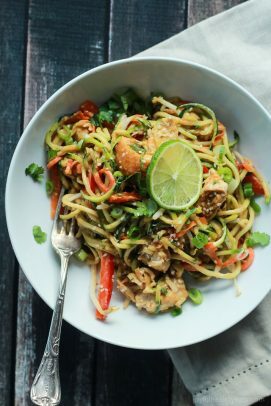 So remember when I told you that I am no longer cooking my inspiralized veggies?! 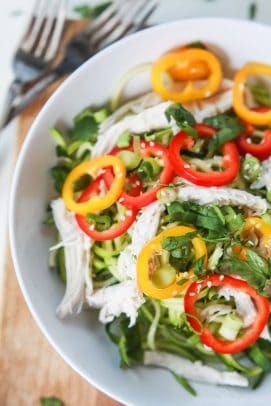 Well I meant it and this dish has just that, raw veggies! 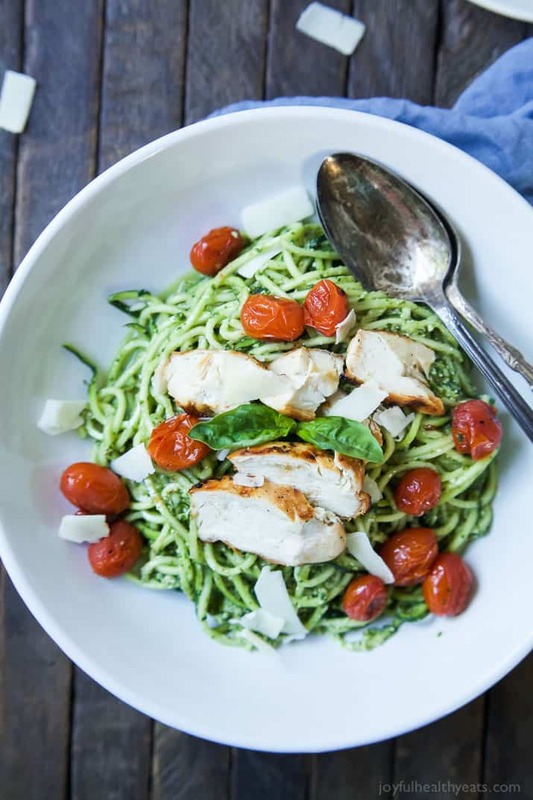 The zucchini is kept cold and raw then tossed in a homemade Basil Pesto that brings in fresh herby flavors, then topped with grilled chicken breast for some protein and burst cherry tomatoes that are cooked on the grill for some added sweetness and a pop of color. My 3 year old son DEVOURED this dish, he was actually also eating pesto by the spoonful. Ok, who am I kidding, I was doing the same thing! On a side note, can you tell I’m excited for the summer and fresh foods! 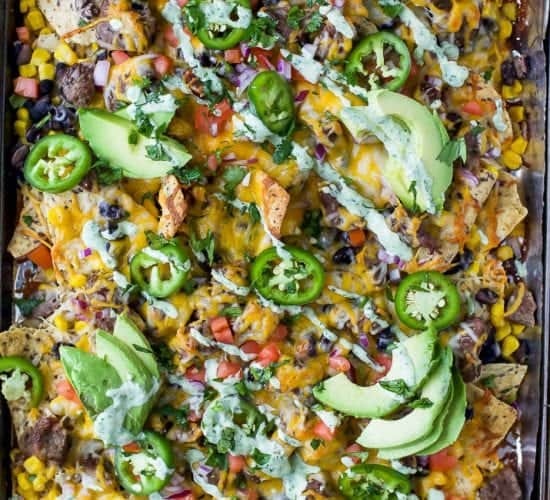 This week has been all about the grill as well as light and refreshing recipes that take you minutes to make! 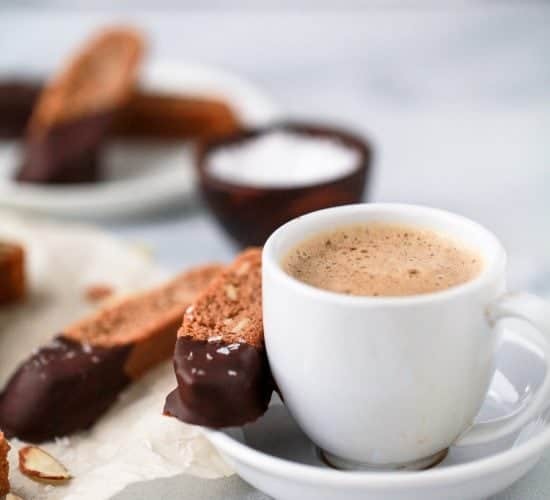 (in this case 15 minutes to make… you’re welcome) I hope you enjoy! Season both sides of the chicken with salt and pepper. Place cherry tomatoes in a small bowl along with olive oil and 1/2 teaspoon salt. Toss the tomatoes so they are coated. In the meantime, inspiralize the zucchini. Set aside. 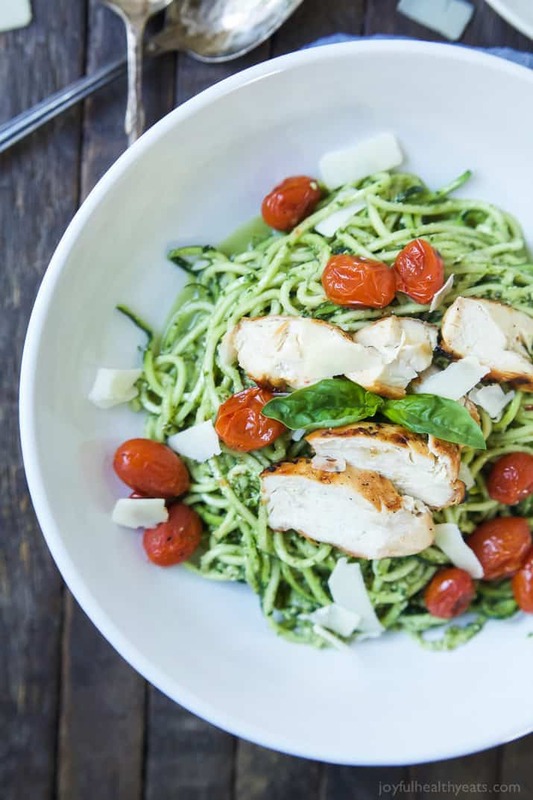 Make the basil pesto and pour the pesto over the zucchini noodles. 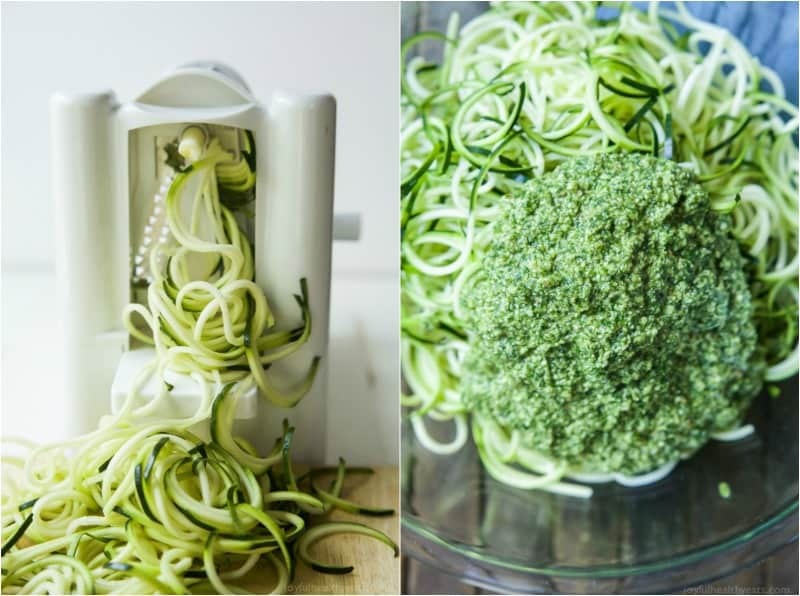 Using salad tossers or tongs, mix the pesto in with the zoodles until it is completely combined. Place cherry tomatoes in a grill basket and grill fro 5 minutes, until tomatoes burst. 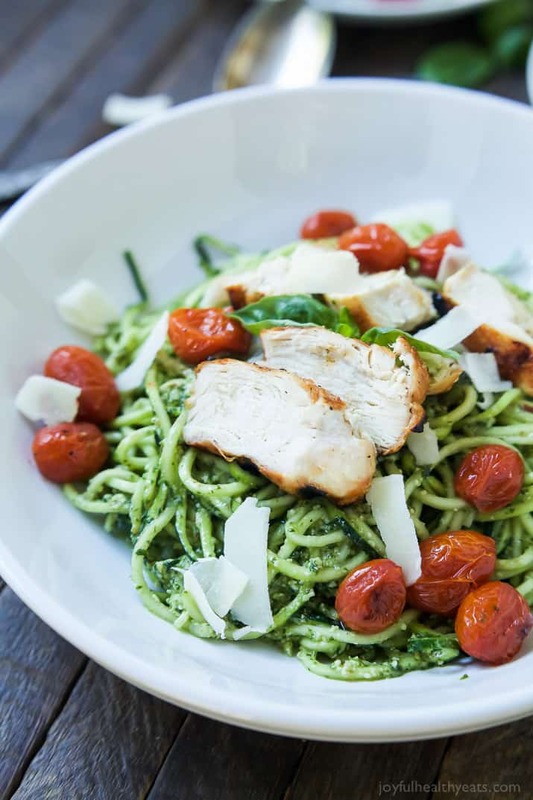 Remove tomatoes and chicken from the grill. 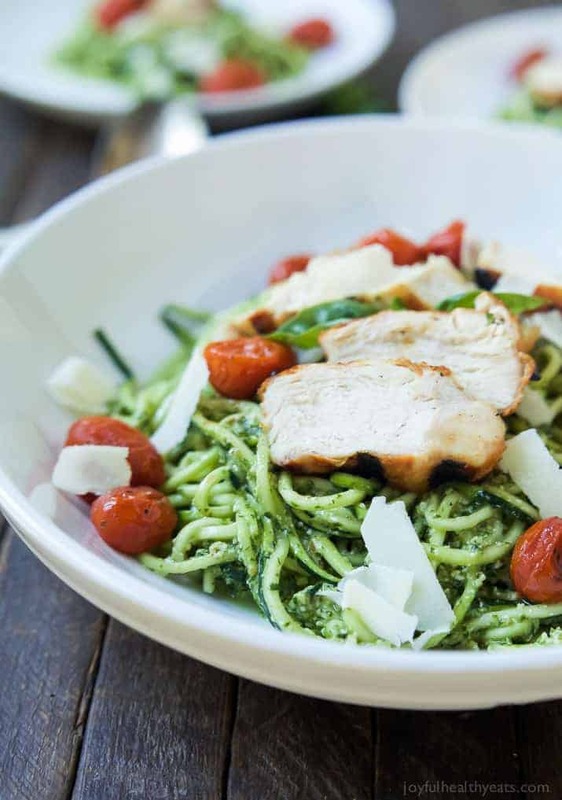 Slice the chicken and place both sliced chicken and burst tomatoes into the pesto zoodles bowl. Serve. 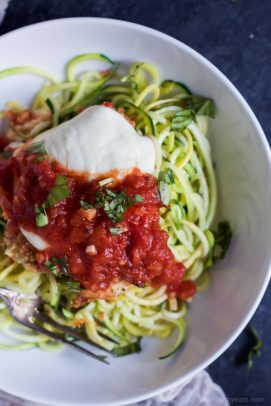 Want More Zucchini Noodle Recipes?